Be-bop and bank-robbery. 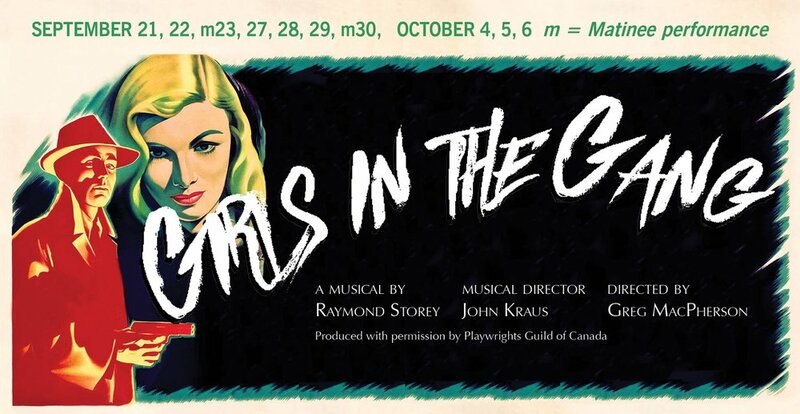 This musical chronicles the rise and fall of the notorious Boyd Gang of Toronto that robbed banks in a series of daring heists in the early ‘50s. It’s also the story of the women they loved and left behind, and of their passionate and desperate lives. Sometimes gritty, often witty, this play owes much to the “copper” movies and be-bop music of the 1950s. Ultimately though, this play deals with the tragic consequences of real people trying to live out the mythology of the glorious life of the gangster.